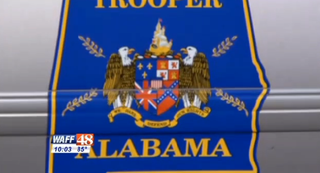 Huntsville, Ala.'s NAACP is calling for the removal of the Confederate flag from the state's Highway Patrol vehicles. Currently it is plastered on every state trooper vehicle, as well as on a patch that every uniformed officer wears, WAFF reports. In keeping with the recent national shunning of all symbols of the Confederacy, the local NAACP chapter said that it is high time that the uniform and vehicles were altered. "The time is right, and I just think it needs to be," the Rev. Robert L. Shanklin of the NAACP told the news station. "We need to do a clean sweep. The state and local government, anywhere that that's located." According to the news station, troopers know about the controversy surrounding their gear but said that any changes would have to happen on the state level.